Mosby goes to church almost every Sunday; while he does tell about his visits to nursing homes and hospitals, surprisingly (for his owners) his story brings out how we can all serve God in many ways, every day of our lives, not just on Sunday mornings. Mosby has had a ball visiting the New Hampshire Highland Games, the towns Ecumenical Thanksgiving Worship Service, the Halloween Parade, Independe… nce Day and Christmas season festivities, and many more occasions. 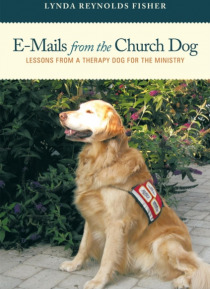 In every event, he brings his love for people with him and shares his warmth with everyone he meets.Through Mosbys humorous, sometimes solemn, always inspirational exploits, learn how a dog can encourage you to take God into your life and work for Him every day of the week, not just on Sundays.